As the game is motorised, you need 2 x C batteries (which are not included), once switched on wobbly worm rocks forwards and backwards making it more difficult to aim your hoops. The game is aimed at children 3 + but has no small dangerous pieces. 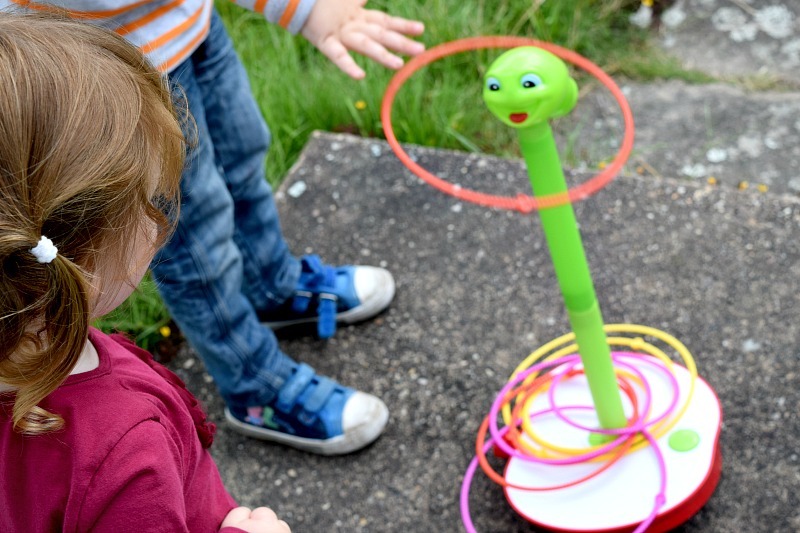 Elsie is almost 3 but aside from cheating and grabbing wobbly worm to place on her hoops, she loved taking part in the game. The older two however, really enjoyed the game and are pretty good at it too (definitely better than me). It is a great addition to our games collection and all three children have thoroughly enjoyed playing with it. 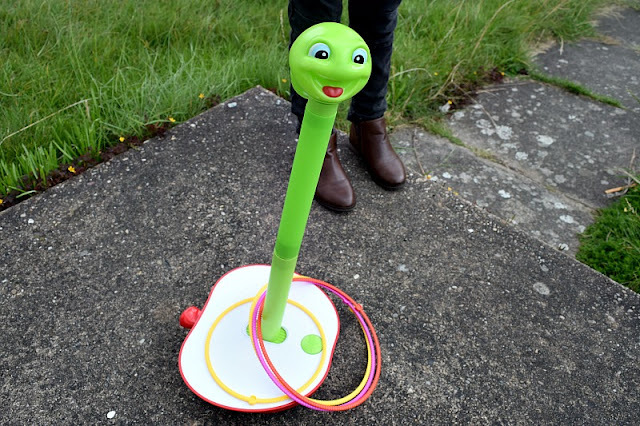 Wobbly Worm can be found in major toy retailers and Amazon (link below).